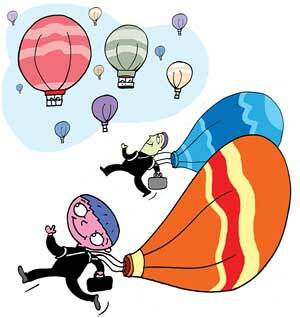 Business communities do not figure well in the Hindu chatur varna (four- fold social hierarchy). The Vaishya held a position superior to the Shudra, but was inferior to the Kshatriya or the Brahmin. Kautiliya's Arthashastra indeed derided merchants as thieves known to harass people. But business communities did flourish in the country. There is enough historical evidence to show that textual injunctions on business choices were not rigidly followed. Unfortunately, however, social scientists have taken the traditional condescension of the literary classes towards business communities too seriously. Entrepre-neurship has often been presented as being restricted to a few communities/castes, traditionally linked with commerce and geographically concentrated in a few states and regions.The book under review takes a cross-country perspective to challenge this view. The author Harish Damodaran is not a historian by training. He is a journalist with a wealth of experience in reporting agriculture and the commodities market. But few journalists have the interest or the zeal to relate the present to the past. Damodaran does. The richness of the book lies in the variety of archival material and secondary sources. Damodaran identifies India's diverse capitalists, their origins, their often unusual traverse to industry and the role of the community in their success. Particularly illuminating is his analysis of colonial policy that led to the emergence of different business communities. Damodaran investigates the role of Arthur Cotton's irrigation works in improving the living standards and advancing the educational attainments of the monsoon-dependent and flood-prone Kamma peasantry of coastal Andhra, which in turn facilitated their movement into industry. He shows how "Cambodia" cotton, introduced in Kongunad in early 20th century, triggered a process that resulted in the Gounders and Naidus, who were not the traditional mercantile communities of Tamil Nadu, playing a role in the conversion of the "landlocked" region around Coimbatore into the Manchester of south-India and the location for a large number of foundries and engineering units. He looks into the factors that enabled the so-called 'lower' toddy-tapping castes and communities such as the Nadars and the Ezhavas to take to commercial activity varying from match and cracker production, through printing, to the manufacture of coir products and the hotel business. This reviewer has just one grudge. The post-liberalization efflorescence gets a short shrift.